... then get you home safely while we fix your car. For over 21 years we have been providing our expert panel beating service to Perth and surrounding suburbs. Based in Osborne Park, we provide professional panel beating and smash repair services to clients in all areas of the city. Whether you have a small dent that you would like us to deal with or your vehicle has been seriously damaged in a collision, our Osborne smash repairs team will soon have it looking as good as new again. We have been providing professional repair services in the city since 1993 and during this time, we have helped thousands of local car owners to restore their vehicles to showroom condition. If you would like to find out how much it will cost to make your car look as good as new again, please feel free to call us at any time, or drop by our workshop whenever you happen to be in the area. As one of the most experienced teams of panel beaters in Perth, we are capable of tackling complex jobs that others may find difficult to handle. What’s more, our services are among the most competitive in the city so you won’t have to spend a fortune for the privilege of working with the best in the business. Once we have surveyed the damage to your vehicle, we will prepare an accurate quotation for your consideration. This quotation will include all costs involved in the repair of your car: there will be no hidden extras or surprise fees once the work has been completed. If you have an accident in the city or surrounding area, call our smash repairs Perth team and we will send a tow truck to bring your vehicle into our workshop. Afterwards, we can either drop you at your home or office, or you can use one of our rental cars and leave under your own steam. We aim to make the whole process as simple as possible and to ensure that you suffer the minimum of inconvenience. Once you are on your way, we will assess the damage and prepare a quotation for you, including detailed pricing and an estimate of the timeframe for the necessary repairs. Our panel beaters in Osborne Park are highly skilled professionals who work quickly and efficiently, so you will not have to wait long for your car to be restored to its former condition. Small jobs normally only take a couple of days but if we need to order parts for a major restoration job, it could take up to 2 weeks to complete all the necessary work. We work hard to keep our rates competitive because we want to make sure that all of our customers are completely happy with both the service they receive and the prices they pay. All repair work and painting is carried out at our fully equipped body shop in Perth, enabling us to control costs and provide you with value for money, as well as first-class customer service. 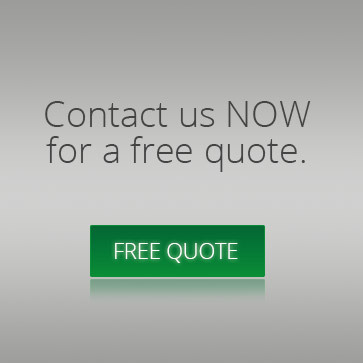 Although we use the best materials and a highly skilled team of vehicle restoration experts, we do not believe this entitles us to charge more than our competitors so you can look forward to a pleasant surprise when you receive your quotation. After beating out any dents and replacing any parts that are beyond repair, we will carefully colour match the paint that we use to respray the affected areas of your vehicle so that the repairs we have carried out are invisible to the naked eye. One of the biggest hassles associated with getting your car repaired after an accident is not finding a competent repair team (you’ve done that already! 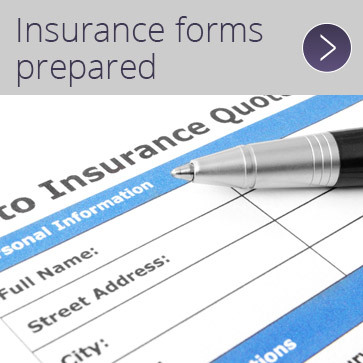 ), it is completing and submitting all the paperwork that your insurance company demands before they will settle your claim. Fortunately, in addition to being experts at smash repairs, our Osborne Park team are also acquainted with the ways in which insurers like to work and we will be delighted to help you fill in all the forms that your insurance company requires, to make your life a little easier at what will probably already be quite a stressful time for you. Having dealt with numerous insurers over the years, we know what they want and can make sure that any delays to your claim settlement are kept to an absolute minimum. Visit our ‘our work‘ page for more info. 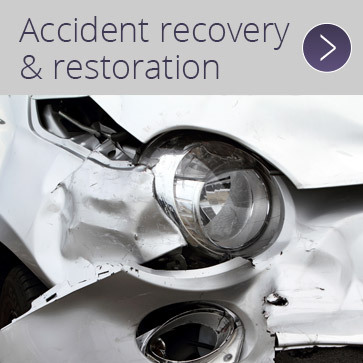 Whether you are looking for a body shop that can carry out simple bumper repairs in Perth or your vehicle is in need of some major restoration work after a big collision, we are the team that you can trust completely. All of the work that we perform is finished to the very highest standards and we are committed to meeting deadlines so that our customers are never left in the lurch. If we promise to have your car back on the road by a certain date, you can rest assured that, barring a natural disaster, it will be ready for you to drive away on that date. We have spent many years establishing ourselves as the premier body shop for respraying work and dent repair in Perth, and we are determined to ensure that we reaffirm our status with every repair job we undertake. To find out just how much it will cost for you to have your car repaired by the best team in the city, call or email us today to request your quotation. If your vehicle is still driveable, please do not hesitate to bring it into our workshop so that our crash repair experts can assess the damage straight away. 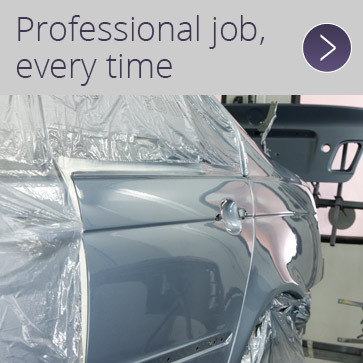 Our quotation will cover the parts and labour required to restore your car to showroom condition, including the highest quality car paint that Perth has to offer, applied by highly experienced professionals who have worked on thousands of vehicles in the past. At K&W Panel Beaters, we offer a service that combines old-fashioned values, such as first-class customer service and value for money, with state-of the-art repair techniques, to ensure outstanding results every time.